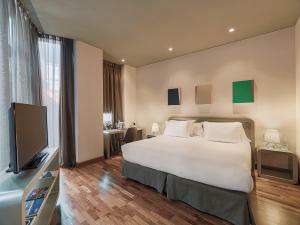 The chic H10 Casanova Hotel is centrally located on Barcelona’s Gran Via, a 10-minute walk from Plaza Catalunya and the Rambla. There is a garden spa with whirlpool and steam room. Featuring contemporary boutique-style décor, the H10 Casanova offers air-conditioned rooms with a satellite TV and free Wi-Fi. 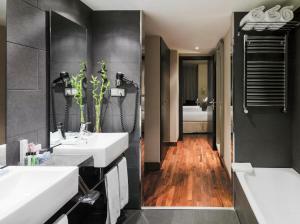 There is a minibar and safe, and the modern private bathroom comes with a hairdryer and amenities. Room service is also available. The on-site Despacio Centre Spa has a Vichy shower, a Turkish bath with chromotherapy and hot tub; massages as well as facial and body treatments are available on prior request at an extra cost. 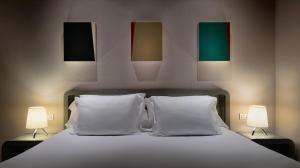 The hotel has an à la carte restaurant and a trendy café-bar with regular DJs. There is a 24-hour reception, and you can hire a car or bicycle from the tour desk. Urgell and Universitat Metro Stations are 300 metres away. 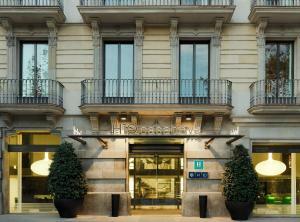 You can walk to Paseo de Gracia’s designer shops in 10 minutes. Please note that reservations of 5 rooms or more are considered groups and different policies and conditions may apply. Extra beds are available upon request and subject to availability. 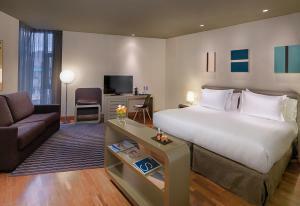 Featuring contemporary boutique-style décor, this air-conditioned room offers satellite TV, a minibar and safe. The modern private bathroom comes with a hairdryer and amenities. 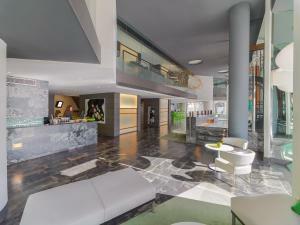 Rate: € 114.00 ... € 599.00; select dates below to get current rates. Rate: € 89.00 ... € 599.00; select dates below to get current rates. 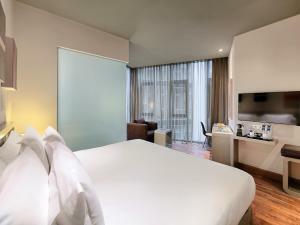 Featuring contemporary boutique-style décor, this more spacious air-conditioned room offers a large bed, satellite TV, a minibar and safe. The modern private bathroom comes with a hairdryer and amenities. Featuring contemporary boutique-style décor, this air-conditioned suite has a lounge area and offers satellite TV, a minibar and safe. 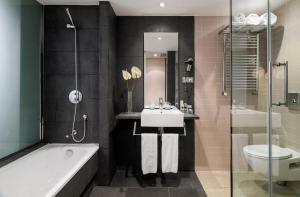 The modern private bathroom includes a bath and a hydromassage shower, a hairdryer and amenities. This room features air conditioning and a minibar. 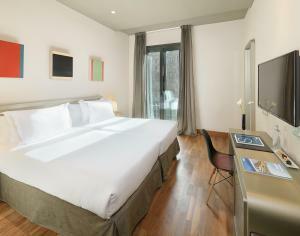 This twin/double room features air conditioning, minibar and satellite TV. This offers includes a stay in a Double or Twin Room, and a 25 minute massage with aromatherapy and essential oils, per person per stay, at the on-site Despacio Spa Centre. The massage must be booked up to 1 week in advance, and it is done individually for each person. 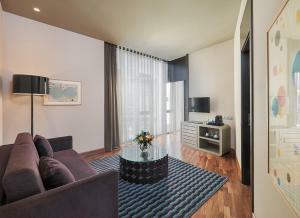 This family room features air conditioning, minibar and view.